Inhabited entirely by robots, Mars is the enigmatic planet that is under intense exploration by humanity. The curiosity rover has been making it’s way closer to Mount Sharp in the Gale Crater, intending to slowly climb the mountain, sampling rocks from different eras in Mars’ history along the way. One of the last regions to cross before beginning its ascent is the region known as the Bagnold dunes, strange dark features similar to sand dunes on Earth. Photos from Curiosity show the beauty and detail in the dark features. 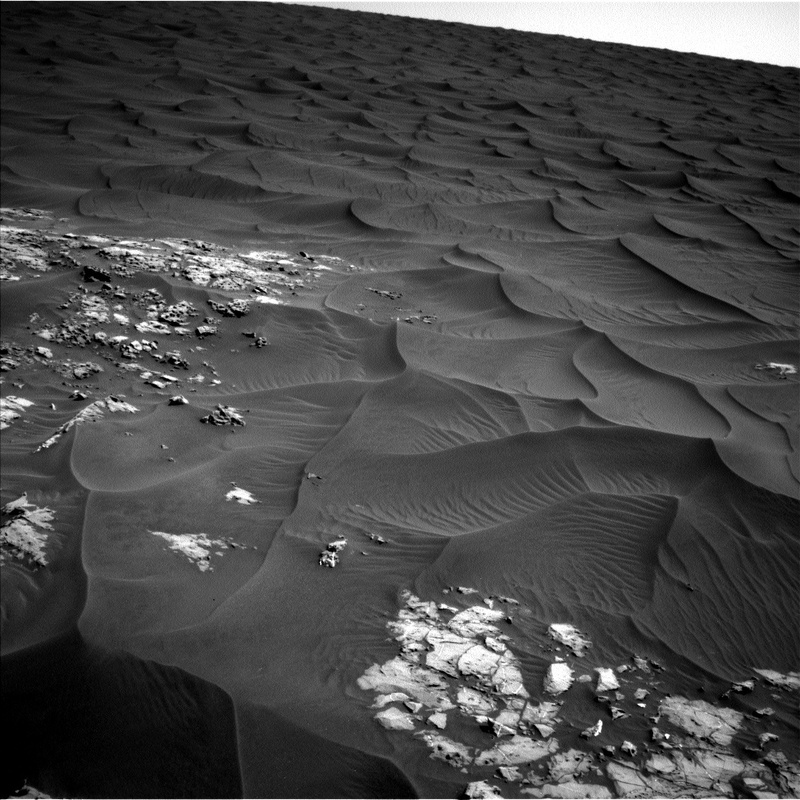 The dark dunes have very interesting ripple features, similar to those seen on Earth but much more pronounced and visible. We aren’t sure why, but with different atmosphere and wind patterns, it’s not surprising. 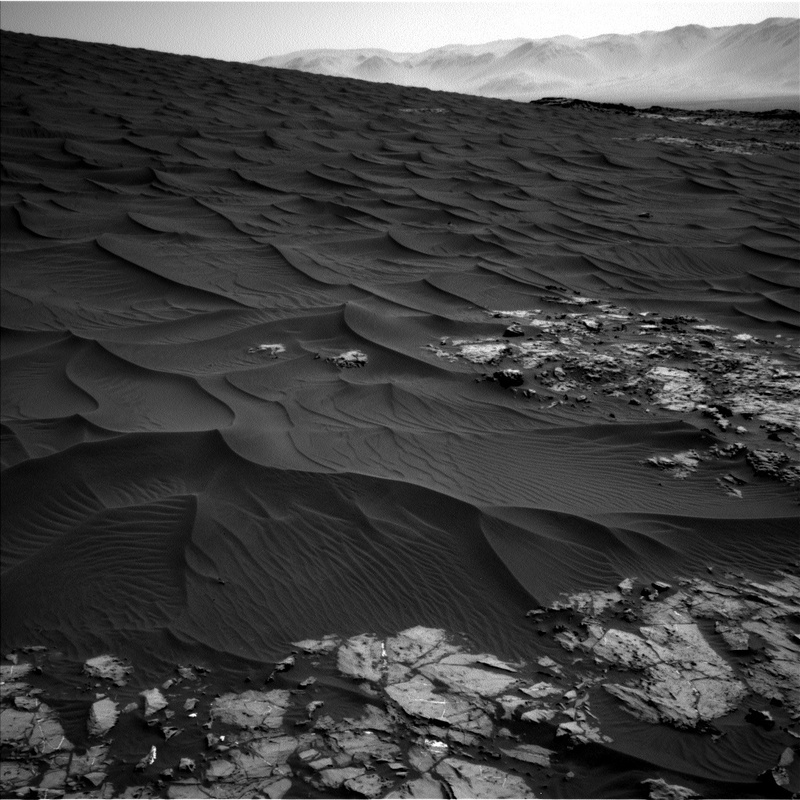 The dunes pose a particular challenge for Curiosity, as the rover’s wheels generally have a difficult time moving through soft sand. NASA rovers in the past have become stuck in pits of sand, sometimes catastrophically. But this is exactly why mission scientists take photos like the one above. By looking at the tracks of the rover they can understand the properties of the Martian soil and determine how the rover will need to maneuver as it moves forward. 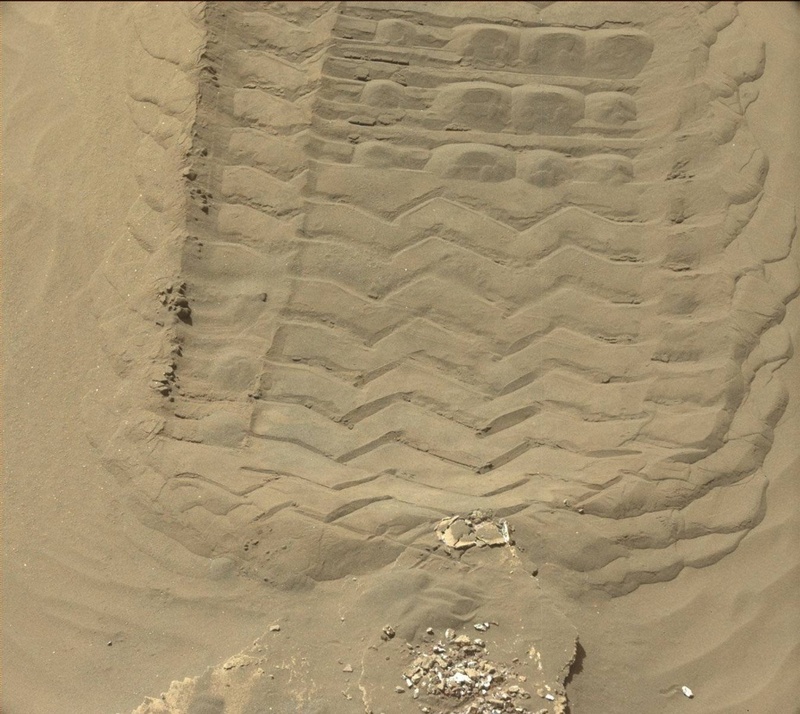 On any given day, as the rover travels, hundreds of photos chart it’s path, investigate rock features, and check the instruments for dust or damage. I love Mars. Seeing these photos feels like being there on an endless rusty terrain, untouched, and left only to time and space. I wonder how many planets like it are in the universe. They may be more lonely, never having anything disturb their soil, other than the wind.